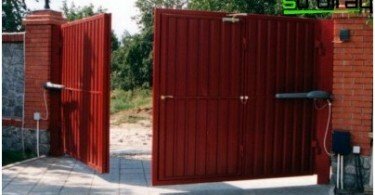 Do you know the most reliable and secureconstruction material? Many will tell you that it is a tree, and will be absolutely right. For practicality wood proved time! From it build and build homes and make a decorative trim, and erecting mansions hardscape. It has many advantages and a few drawbacks. Chief among them - a weak resistance to such a process, as decay. In addition, a tree can damage a variety of insects and it is well-lit. That is why the wood protection - an issue that requires attention. 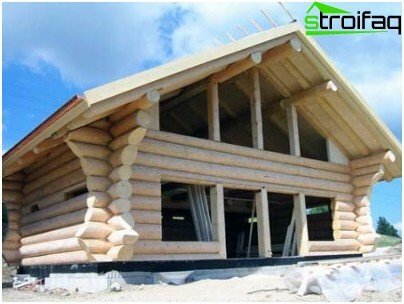 How to prolong the life of wooden structures? This will be discussed further. Since we are dealing with a natural material,his detractors like such as fungus and mold. These bacteria multiply, where a lot of moisture. As a result, over time, begin to rot away wooden buildings and crumble. For security, you can take some steps that will help extend the life of the wood. Processing antiseptics. They can be bought in a store building materials, where they are sold in the form of a solution or paste. 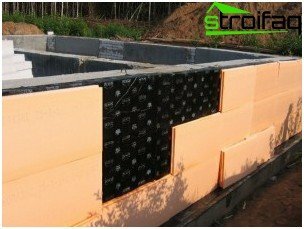 Applied tools such as a ground surface of the wood, and the one that is in the earth (recommend doing the impregnation depth of 1.5 meters). One can use a solution of 5% dichromate with 5% sulfuric acid. If you want to apply antiseptics ready, you can use Novotex, biokronom, Biosept, pinotex. Natural and artificial drying of wood. The cheapest way - is to place the material in a well-ventilated room. There it can be (depending on the type of wood and climate) week or several months. Artificial drying is carried out in a high temperature chambers. The material which is exposed to hot air or steam. 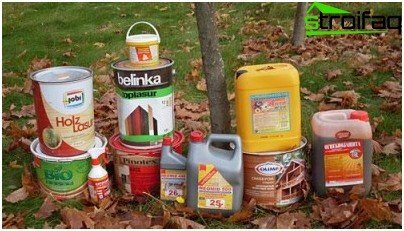 Protection of wood against rot and can be performed in a liquid medium - in containers with petrolatum. Artificial drying is fast (from 1 hour to several days) and by destroying the fungal disease of the tree. Proper construction of wooden structures. This includes design activities like construction of a watertight roof, intensive ventilation, waterproofing surfaces, construction of a high foundation, etc. If you are unfamiliar with dangerous woodpests, you should get to know them. It is a beetle-barbel, beetle, weevil, beetle-grinder. For a very short time they can make out of your wooden furniture and other buildings bunch of sawdust. Determine their presence is quite simple. If the surface of the boards or logs visible small grooves, holes are formed, and a handful of visible dust, the presence of pests can be considered obvious. if well tolerated by the smell, try dichlorvos (trichlorfon). 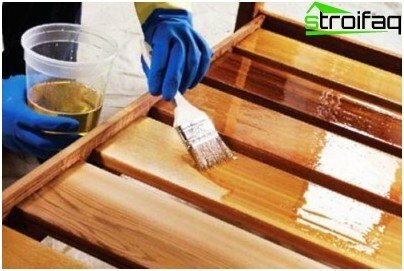 The proven method when using a brush or spray applied to the wooden surface of the sodium silicofluoride solution. Butter. It is applied to the entire surface of the wood, without missing any cracks, pores and joint. At the same time take into account the oil's ability to change the color of the wood and make it slightly darker. To protect the wood from moisture to be effective, it is recommended to carry out such a treatment every month. Toning. 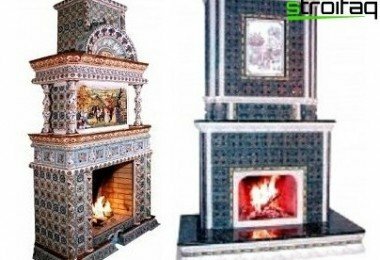 It is the process of a slight change in the color of the wood products or constructions. For this purpose, oil paint, alcohol stain, color varnish, etc. Repeat this procedure should be every 2 years. Varnishing. 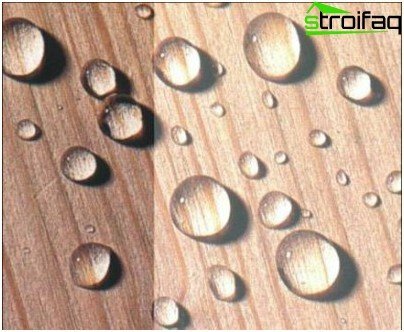 It is conducted by means of water-repellent coatings in areas where there is high humidity (for example, in the bath). Done such processing wood every 5 years. Flameproofing agents may be used not onlyin public places, but also in the private sector. 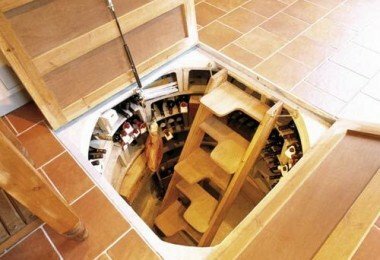 To protect their homes and cottages forward-owners use different precautions. 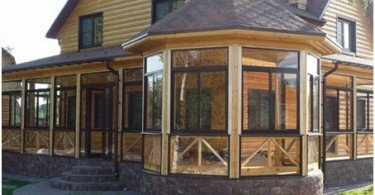 They can do a simple treatment of wooden structures salt solutions or a more complex substances that create on the surface of a special protective film. In the first case, wood protection against fireIt is as follows. Applied to tree salt solution that penetrates deep into the material. In case of fire, this impregnation begins to melt and thus form a film. She stops the fire from spreading further. It is a pity that after the flame charred planks or logs will have to be replaced. When handling special substances processfire stops is similar, but with greater efficiency. The reason lies in flame retardants, which contain in their composition of sulfuric acid, borax and ammonium phosphate. For this purpose, use can also daubing, silicone-based paint and plaster. Wood protection against fire and otherthe above-mentioned problems should be comprehensive, with various special funds. 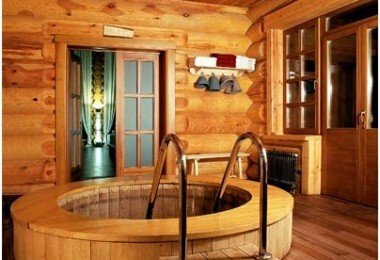 Handle can be at a temperature no lower than + 5 ° C and does not work with frozen wood. The surface must be sanded, clean and dry, that is able to absorb a good protective substances. If you comply with these requirements, the wooden hut or the house will be long please you with its warmth, beauty and comfort. 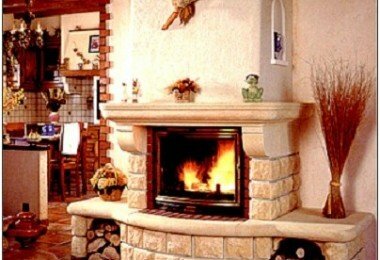 Finishing and facing of fireplaces: natural stone or ceramic?